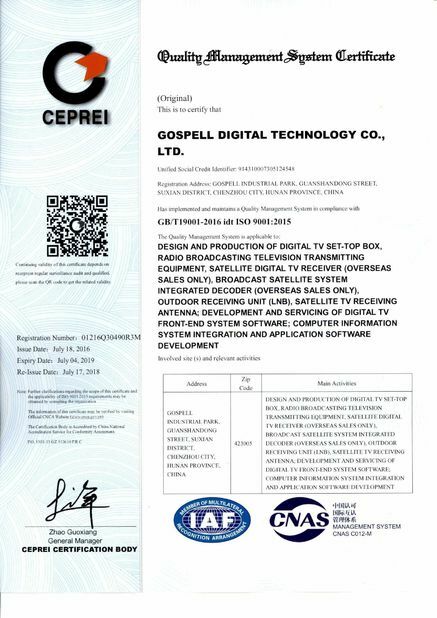 Gospell DTV Advanced Security Conditional Access System includes Gospell Advanced Security CAS Headend Software System and DTV Terminals with Integrated Gospell Advanced Security CAS Client. The Headend Software System connects with DTV TS multiplexing and sceambling equipment, Subscriber M anagement Sys (SMS) or Business. Operation Support System (BOSS),to perform tasks such as encryption of DTV or private services, DTV product management and generation & transmission of management information of terminal devices and subscribers.Sensitive data and information are all encrypted by AES algorithm. 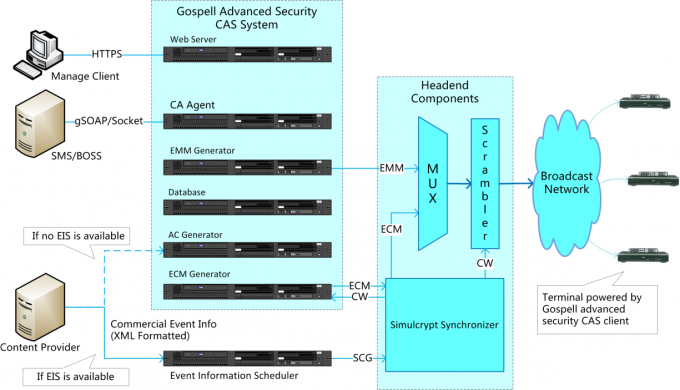 It may handle dynamic program billing and dynamic fingerprints and Usage Rules Informaiton (URL) processing, either independently or working together with an Event Information Scheduler(EIS). 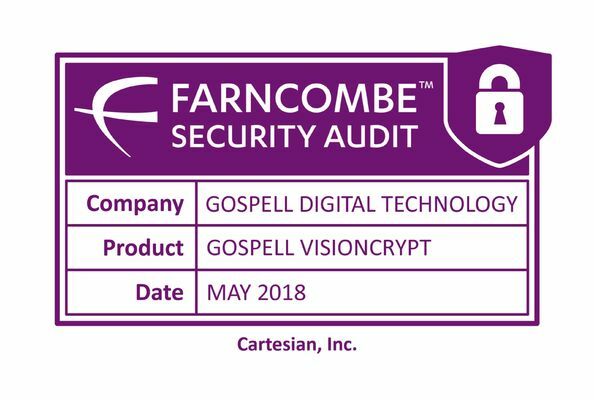 Gospell Advanced Security Cas supports PVR re-entitle control function.